Handbags (Michael Kors): Black Michael Kors Tonne Stingray (Pre-Owned). This authentic Michael Kors leather Stringray Hobo is a Pre-Owned customer returned item. Save 45% off with this very nice pre-owned top on the line MK Stingray hobo. 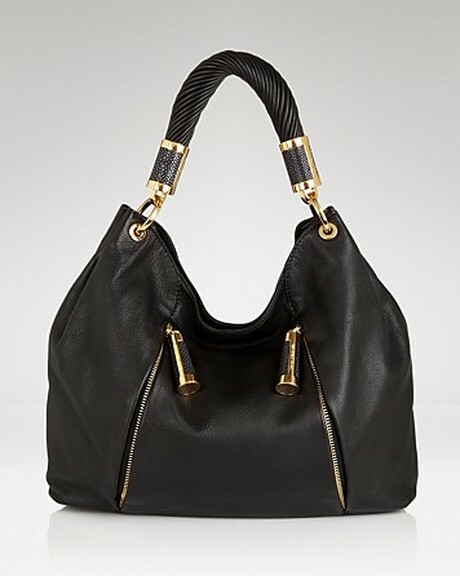 For the fashion-savvy Michael Kors crafts this hobo in beyond-rich leather, detailed with embossed stingray. The effect is direct and just so effortless.